The Interweave Knits 1999 Collection CD includes scanned PDFs of all four issues published in 1999 featuring knitting techniques and knitting patterns for women, men, children, and the home. 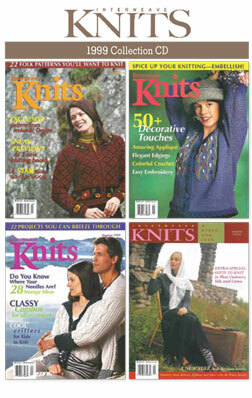 Collect all four issues of Interweave Knits magazine published in 1999: Spring, Summer, Fall, and Winter. The 1999 season of Interweave Knits magazine showcases knitting patterns for women, men, children, and the home. From colorwork knitted sweaters, easy knitted accessories, cable knitting techniques, knitted lace, embroidery techniques, and much more, the 1999 issues of Interweave Knits magazine is truly for knitters of all skill levels. 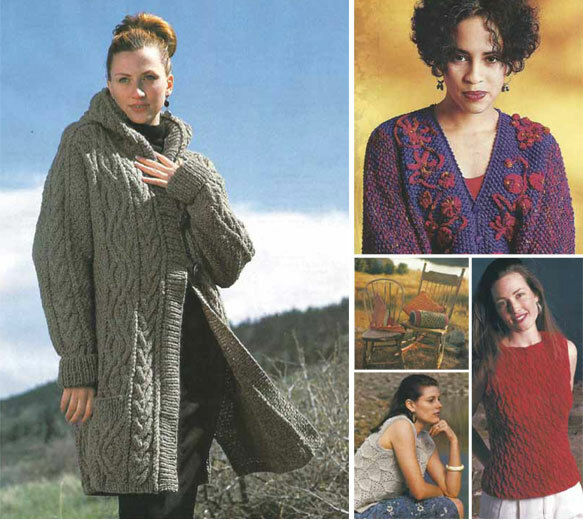 The Interweave Knits 1999 Collection is available on one CD rom or as an instant download. Purchase your collection today for timeless, classic knitting patterns that never go out of style! Order your Interweave Knits 1999 Collection on CD or download it instantly today!